Robert B. 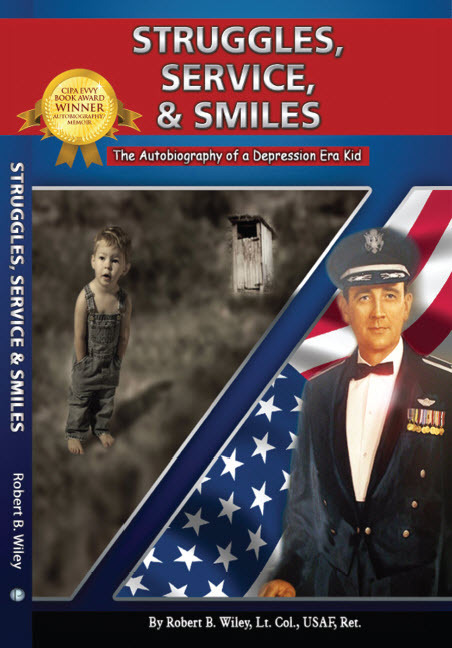 “Bob” Wiley is the author of Struggles, Service, & Smiles, The Autobiography of a Depression Era Kid, 2012 EVVY Award for Autobiography, 3rd Place. You can contact him at bwiley@bwiley.com or visit his web page at www.bwiley.com. 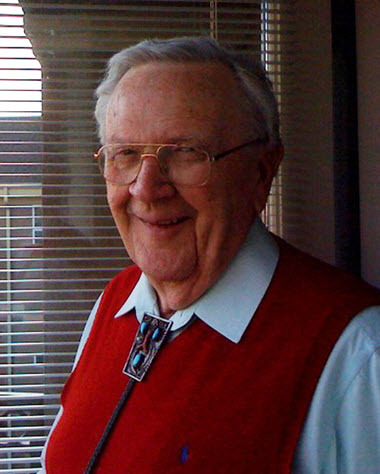 Bob was born in Wiggins, a small eastern Colorado town, in 1924. When his father died in 1934, he and his Mother moved to Sioux City, Iowa where lived until he left home. After one year of college, he was drafted in May 1943. He served in the Southwest Pacific during World War II as a B-24 Navigator. When he returned from overseas, he married the love that he grew up with and entered pilot training. During a 21-year career as a USAF officer, he and his wife raised four children. He retired in 1964 as a Lieutenant Colonel. He worked in real estate until 1986, then 10 years in the retail liquor business. Nancy Mills, who was at the time the president of CIPA, came to the retirement residence where I live and challenged us to write; a poem; a short story; a biography. A lady resident said, “Oh, I couldn’t write a biography. I have nothing to write about. I chided her, “What do you mean, nothing to write about. We’ve lived a third of our nation’s history. Nothing to write about? Ridiculous!”. When I returned to my apartment, I asked myself, “Are you just a big blow-hard or are you serious?” I sat down and started to write. Self publishing was my first option. After all, Colorado INDEPENDENT PUBLISHERS is what started me! How has CIPA helped you with publishing your book? It started me! My editor, my e-book translator, my graphic artist, and most of all, my Virtual Assistant, Kelly Johnson, are all CIPA members. When folks ask, “When may we expect your next book?”, I tell them, “Give me another 87 years to think about that”. My e-book is available on Kindle, Nook, and Apple i-Books. Print copies are sold in book stores, and on Amazon and Barnes & Noble. I sell personalized, autographed copies directly to readers. Details are on my web page, www.bwiley.com.